When i first know about Hatter Street Cafe, i was quite excited as there are rather limited (hipster) cafes along the north-east MRT line. 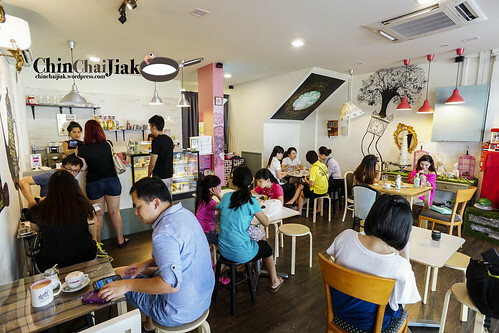 Hatter Street Cafe is walking distance away from Kovan MRT and it’s literally beside a rather well-known Thai neighborhood eatery Nakhon Kitchen (see my previous review). When i first visited this place, i remember it was not as crowded, and a fatherly figure attended to my order. 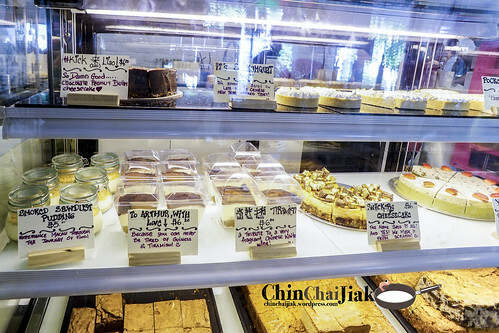 Not knowing that i blog about food, he was so painstakingly selling the pastry concepts, the thoughts behind it and explaining the effort put in in decorating the cafe in hoping to get more returning customers. i figured that he may be the father of the boss and if he really is, that’s a good father all right! Hatter Cafe is a rather cosy restaurant that has an indoor sitting capacity of no more than thirty pax. 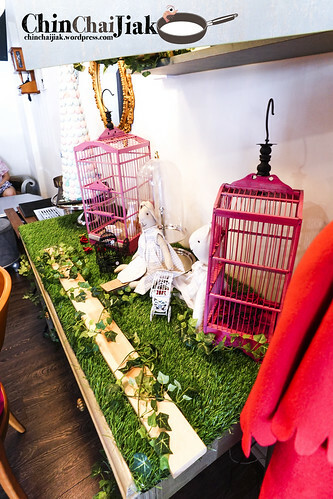 The interior design is inspired by the popular animation Alice in Wonderland. It sells mainly drinks, pasteries and waffles. Apart from their brownies and waffles, i think they do not have a fix food menu. What ever you see in their fridge is what ever you can order for the day. I had this twice and it’s still as good on the second time. In fact I thought the portion is bigger. Their waffle is exceptionally crispy and yet the inside remain moist. I find caramel sauce quite sweet most of the time but not for Hatter’s salted caramel. 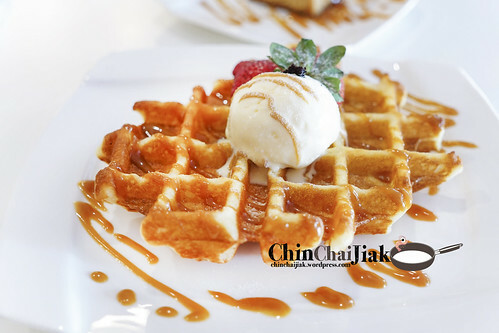 There is a good balance between the sweet and salty taste that goes perfectly with the waffle. There’s no complain for their ice-cream. It’s rich, creamy and good till the last drop. At a price of $8.50, this should be among the best waffles (in term of taste + value) that i had. 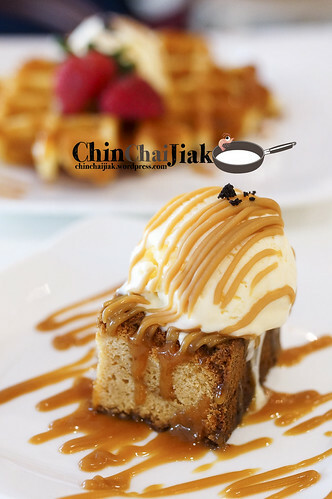 This is also another interesting flavour as Hatter decides to drizzle their waffle with Gula Melaka and pair it with a unique pandan flavour ice cream. 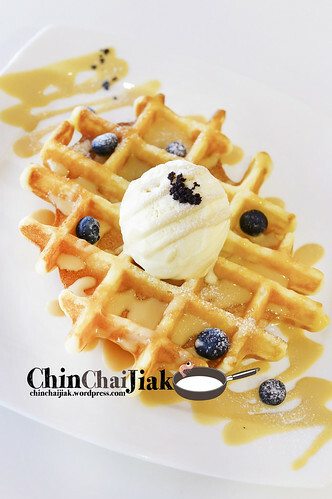 It is largely popular on social media and many said that it’s the best waffle that they ever had. For me, the pandan ice cream don’t taste exactly like what I imagined it to be, probably lacking the fragrance of a real pandan leaf but the Gula Melaka drizzle works for me. This is good but if you ask me, I prefer the vanilla ice cream waffle with salted caramel. Apparently the intended signature dish of Hatter Cafe is their home made brownies. However the waffle is much more popular instead. With much curiosity, i ordered their white chocolate brownie. As expected, the cocoa taste is not as rich as a typical brownie but the sweet milky white chocolate taste is unique in it’s own way. The brownie is not too dry but lacks in texture. It taste like a compact sponge cake. I feel that their brownie is ok, but if I know in advance that their waffle is sold out, i probably won’t specially make a trip down for their brownie. Apparently Hatter Street Cafe intend to market their home-baked brownie as their signature dish but it is their waffle that stood out in the end and I totally agree. For those who love crispy waffle, i am willing to bet that you will enjoy this. For the first to comment that you don’t like these waffles, i’ll do up a review base on your choice of restaurant. Not too ex please. Hahaha. One thing to improve is the air conditioning. 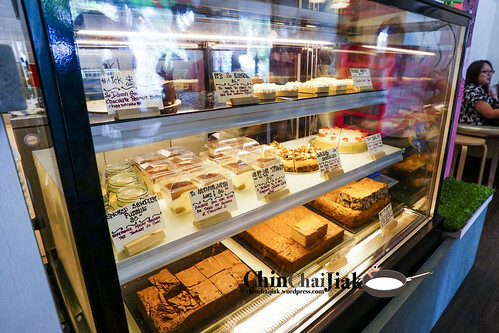 During busy time, the air-con is not strong enough and the cafe is a little hot, especially when people are going In and out of the cafe. 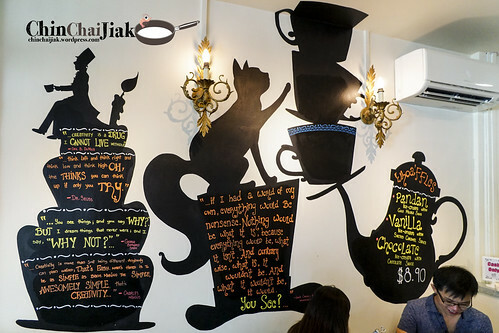 Apart from that, Hatter Street Cafe had made it’s way into my list of best waffle in Singapore.